This is a project I took up a year or so ago that got sidelined, I come back to it now - at the turn of the tide. Fantasy battle has always and always will hold the greatest appeal to me and 8th edition makes it more fun than ever. With relatively swift and decent releases for each army in the new edition, a fully blown triple A game from Creative Assembly (Total War) in development, and even the imminent return of Heelanhammer a great time for Warhammering is shaping up. 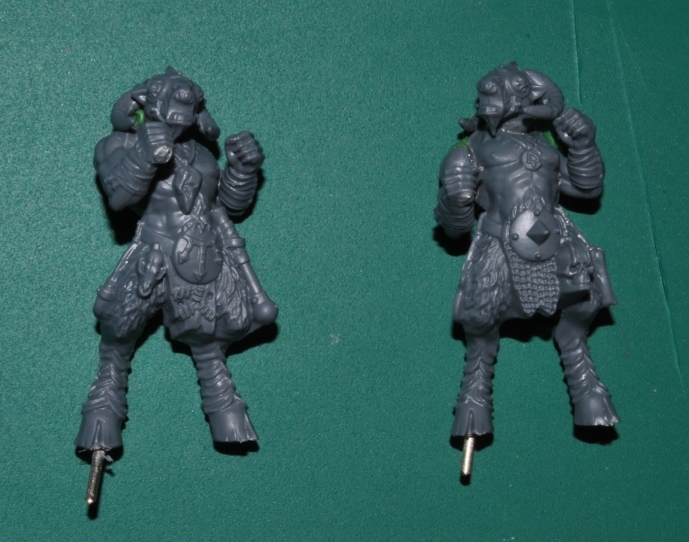 So I knuckled down to push the progress of my own personnel Beastmen army, no commission or Ebay fodder this time! I sidelined this project, in part, due to the lack of available models in the Games Workshop range. While I think the core infantry (Gor/Ungor/Bestigor) are awesome kits, there is nothing outside of that I would even care to field. Back then I certainly didn't have the funds or time for costly kitbashing, conversions, or outsourced alternative models, but now time and motivation seems to have struck me like a solid lead Rhinoceros from the sky. It has been a very busy week so far painting and converting. So there will be plenty to share on this front over the coming week and month. For today, some pics of probably the most necessary conversion and requirement for a fun Beastmen army...chariots. 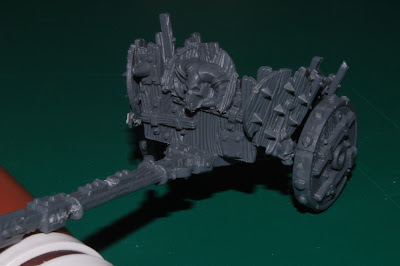 The sides of this Orc chariot have been separated and angled to provide plenty more room. The Beastmen shields have been used to bridge the gaps and as a distinctive feature on the front. 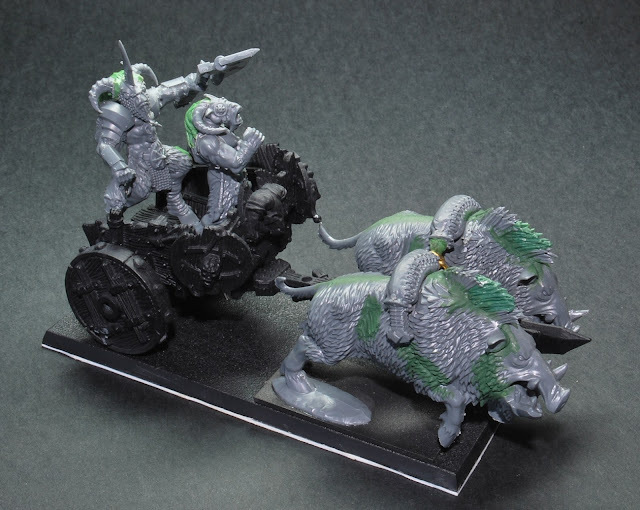 The yokes for the chariots have to be removed otherwise the chariot sits at a ridiculous angle on the new Orc boars. They are held here with chain, hopefully I can complete some form of harness, bridle, and reins that would be needed. Yes the new Orc boars look like Alf, but Alf was awesome too! Talking of Alf http://light-schizophrenia.deviantart.com/art/Alf-Redesign-187533066 some rather nice chaotic beastial inspirations have just been found. Gor charioteers are straight forward enough, just cut away one weapon. 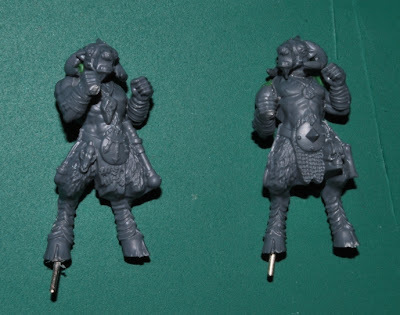 I wasn't keen on this head for my Gor units but the screaming (braying) is characterful for driving two Tuskgor and the covered eyes became a theme for the crew. 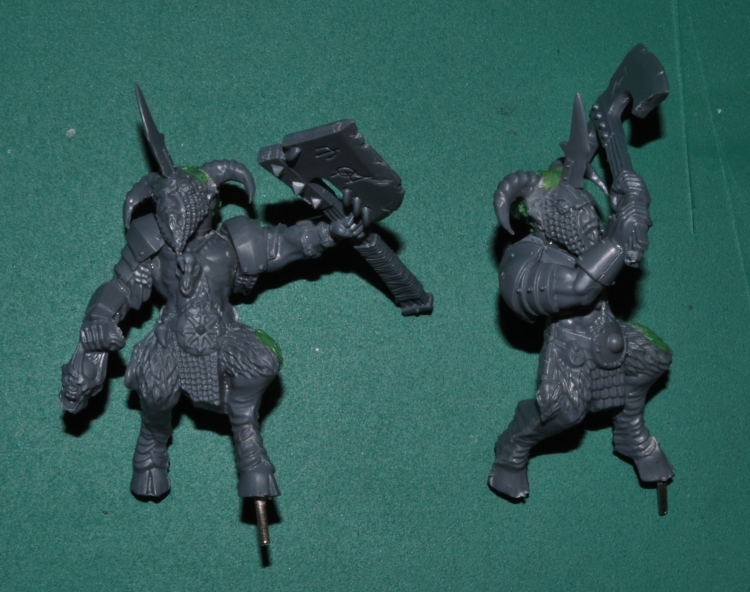 The Bestigor crew are more fun, plenty of hefty axes on the Beastmen sprue. Again I didn't like this head for my units but it has a menacing look, a quick horn conversion and these guys have a distinctive and unique appearance. Obviously Gor bodies have been used. 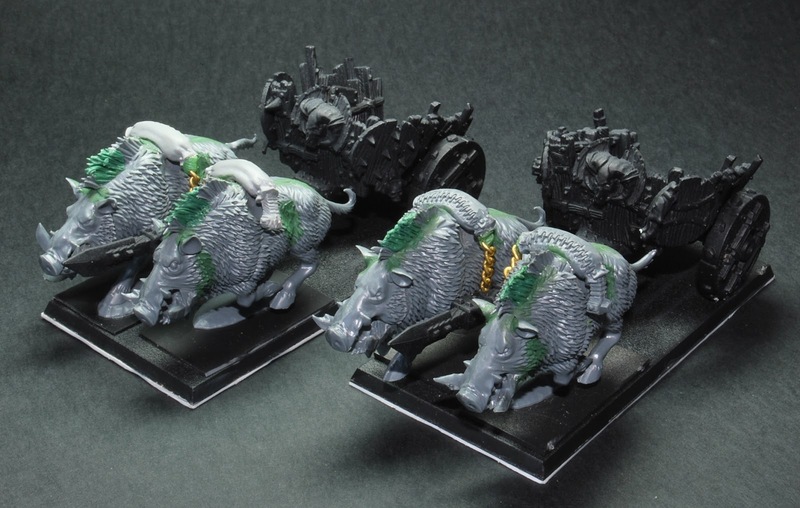 The Bestigor are awkwardly posed for this purpose, and I'm sure the extra armour wouldn't help with weight or mobility in the chariot anyway.